The 2016/17 Cars.co.za Consumer Awards programme – powered by WesBank – concluded with the announcementof the thirteen best-considered new purchases in their respective categories of the South African new vehicle market, as well as the overall Brand of the Year, on 19 January 2017. Established to be the most prestigious, credible and influential awards programme in the South African motor industry, the second iteration of Cars.co.za Consumer Awards was distinguished by two significant factors: it was backed by the biggest provider of vehicle finance in South Africa and, in conjunction with the 13 judges’ scores, the findings of the Cars.co.za’s Owner Satisfaction Survey (in association with Lightstone Consumer) had a substantial (50%) weighting on the final results, excluding the Brand of the Year award, which was based entirely on the Survey data. Cars.co.za’s awards programme has a multi-faceted judging process, based on inputs from seven members of the experienced editorial team and six respected guest jurors drawn from specialist fields. The combined jury allocated scores to the three finalists in each category based on their assessments from two test days (on which available vehicles were compared back-to-back). Once the judges’ scores were tallied and audited, the brand-specific data from the Cars.co.za Owner Satisfaction Survey, which incorporates feedback from thousands of South African new vehicle owners, based on their experiences of their vehicles (must be less than five years old and serviced through franchised outlets), was factored in for the purpose of calculating of the final results. The prestigious Brand of the Year award, however, was determined solely by brands’ ratings in the Cars.co.za’s Owner Satisfaction Survey (in association with Lightstone Consumer), which was compiled from thousands of surveys completed between September 2015 and December 2016. Consumers rated the brands in terms of: after-sales service, overall ownership experience and sales processes of its dealerships. Changes in market share were also factored into the final standings. 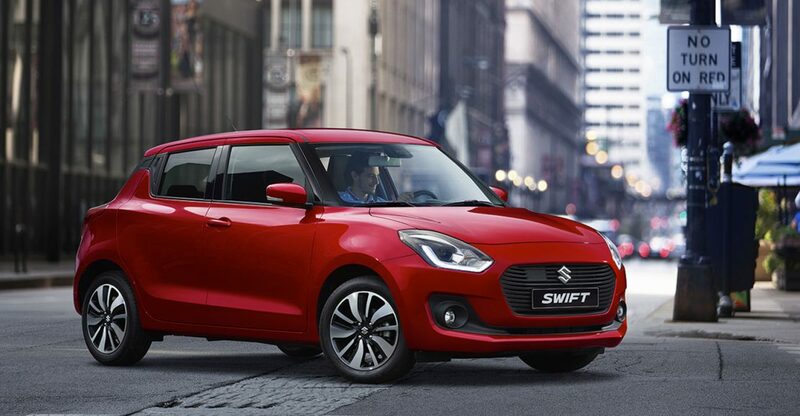 BMW and Suzuki won two categories each; it was the first awards garnered by the Japanese brand, which also succeeded Toyota as the overall Brand of the Year for 2016/17. The Volkswagen Golf GTI DSG, Land Rover Discovery Sport and Volvo XC90 defended their titles, although the latter two won with different derivatives than in 2015/16. Certificates of merit were awarded to other brands that finished in the Top Five rankings of the Cars.co.za Owner Satisfaction Survey: Audi, BMW, Mazda, Mercedes-Benz and Toyota. In order to have been eligible for this category, contenders had to meet the following criteria: had to be a C-segment hatchback/crossover with a list price of between R350 000 and R500 000at the time of semi-finalist voting (September 1 2016), including the cost of any of the following features (if they were optional): electronic stability control, dual front, side and curtain airbags. The most important judging factors were: a balance of efficiency and performance, practicality, brand strength, design and quality appeal, ride/handling, safety, as well as in-car entertainment systems and connectivity. In order to have been eligible for this category, contenders had to meet the following criteria: a list price of more than R1 million at the time of semi-finalist voting (September 1 2016). The most important judging factors were: powertrain technology, luxury features, brand prestige and exclusivity, design and quality appeal, driving dynamics, ride comfort and overall refinement. In order to have been eligible for this category, contenders had to meet the following criteria: had to be a double-cab bakkie with a turbodiesel engine and four-wheel drive, with a list price in excess of R450 000 at the time of semi-finalist voting (September 1 2016). The most important judging factors were performance, space and practicality, occupant comfort, all-surface ability and safety. In order to have been eligible for this category, contenders had to meet the following criteria: a D/E-segment sedan (or so-called four-door “coupé”) with a list price of between R750 000 and R1 000 000at the time of semi-finalist voting (September 1 2016). The most important judging factors were: powertrain technology, brand strength, design and quality appeal, driving dynamics, technological features and occupant comfort. Note: The Mercedes-Benz E220d Avantgarde received a zero score from the judges as a test vehicle was not provided for the evaluation days. The brand concerned accepts the decision as fair. 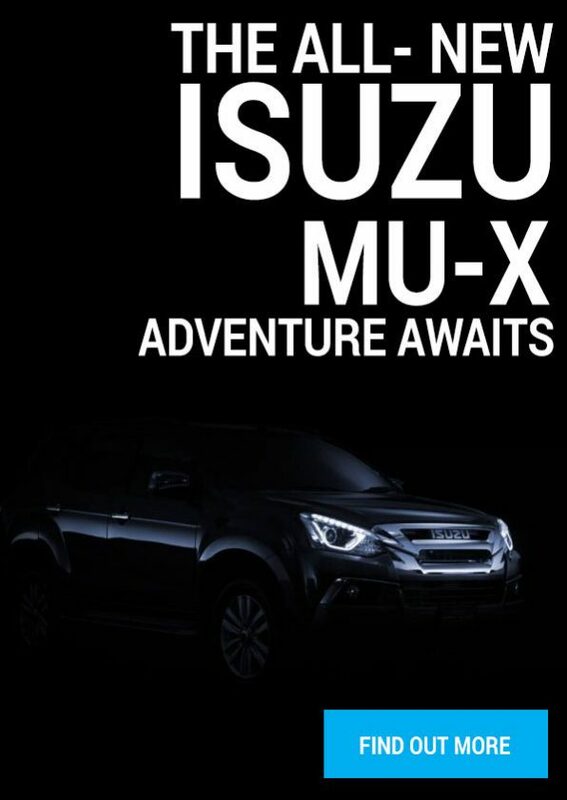 In order to have been eligible for this category, contenders had to meet the following criteria: a list price of between R750 000 and R1 200 000 at the time of semi-finalist voting (September 1 2016) and it had to be a large SUV (or its crossover derivative) with all-wheel drive as a standard feature. The most important judging factors were powertrain technology, luxury features, brand strength, design and quality appeal, driving dynamics, space and practicality. In order to have been eligible for this category, contenders had to meet the following criteria: a list price of between R500 000 and R750 000at the time of semi-finalist voting (September 1 2016), including the cost of any of the following features (if they were optional): at least six airbags, as well as electronic stability control. The most important judging factors were powertrain technology, luxury, brand strength, design and quality appeal, driving dynamics and technological features. Note: The Mercedes-Benz C250 AMG Line received a zero score from the judges as a test vehicle was not provided for the evaluation days. The brand concerned accepts the decision as fair. In order to have been eligible for this category, contenders had to meet the following criteria: a list price of between R250 000 and R350 000 at the time of semi-finalist voting (September 1 2016), including the cost of any of the following features (if they were optional): ABS, electronic stability control, a minimum of four airbags, air-conditioning, split/folding rear seats and a service plan. The most important judging factors were: balance of fuel economy and performance, space and practicality, design and quality appeal, occupant comfort and safety features. In order to have been eligible for this category, contenders had to meet the following criteria: a list price of less than R600 000 at the time of semi-finalist voting (September 1 2016) to ensure that this category isn’t dominated by extravagant exotic vehicles. The most important judging factors were drivetrain engagement, entertaining handling, sensory appeal and the number of standard features. In order to have been eligible for this category, contenders had to meet the following criteria: a list price of less of between R500 000 and R750 000 at the time of semi-finalist voting (September 1 2016), including the cost of any of the following features (if they were optional): electronic stability control, at least six airbags, split/folding rear seats, a minimum ground clearance of 180 mm and all-wheel drive capability. The most important judging factors in this category were performance, space and practicality, in-car entertainment systems, cabin comfort and all-surface ability. In order to have been eligible for this category, contenders had to meet the following criteria: a list price of between R160 000 and R250 000 at the time of semi-finalist voting (September 1 2016), including the cost of any of the following features (if they were optional): ABS, electronic stability control, dual front airbags, air-conditioning, USB/Aux audio support and a service plan. The most important judging factors were balance of fuel economy and power/performance, value for money, practicality, brand strength, design and quality appeal, ride/handling prowess and safety. In order to have been eligible for this category, contenders had to meet the following criteria: a list price of R160 000 or lessat the time of semi-finalist voting (September 1 2016), including the cost of any of the following features (if they were optional): ABS and dual front airbags. The most important judging factors were: fuel economy, value for money, practicality and brand strength. In order to have been eligible for this category, contenders had to meet the following criteria: a list price of between R600 000 and R1 000 000 at the time of semi-finalist voting (September 1 2016) to ensure that the category isn’t dominated by exorbitantly expensive exotic cars. The most important judging factors were: driving engagement, handling, sensory appeal and standard features. Note: The Mercedes-AMG A45 4Matic received a zero score from the judges as a test vehicle was not provided for the evaluation days. The brand concerned accepts the decision as fair. In order to have been eligible for this category, contenders had to meet the following criteria: an automatic-transmission vehicle with a list price of between R350 000 and R500 000at the time of semi-finalist voting (September 1 2016), including the cost of any of the following features (if they were optional): ABS, electronic stability control, a minimum of six airbags, split/folding rear seats, air-conditioning and a service plan. The most important judging factors were: engine flexibility, fuel economy, space and practicality, design/quality appeal, comfort, safety and in-car entertainment. Runners-up: Hyundai Tucson 2.0 Elite Automatic, Nissan X-Trail 2.5 SE CVT AWD! The prestigious Brand of the Year was determined solely by the manufacturers’ ratings in the Cars.co.za’s Owner Satisfaction Survey, allied with market share change and resale value statistics per vehicle brand (supplied by Lightstone Auto). 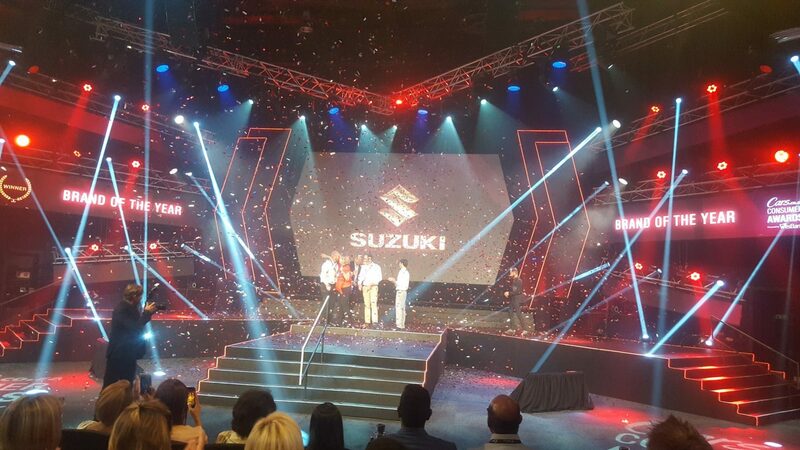 This recognition of Suzuki Auto South Africa, parallels the feat achieved by its British counterpart, which was recognised as the “most improved organisation’ in The Institute of Customer Service’s annual UK Customer Satisfaction Index in 2016. For 2016/17, the award categories were updated to take into consideration new vehicle sales trends (such as the increased demand for small/compact crossovers, the buying public’s preference for SUVs over sedans and MPVs, as well as the introduction of several new and facelifted double-cab bakkies. The Cars.co.za editorial team considered each and every model in the new vehicle market — candidates were evaluated as individual models and not as parts of complete model line-ups. What’s more, candidates were eligible for an award irrespective of when they were launched. During the first phase of judging, the editorial team (Ashley Oldfield, Ciro de Siena, David Taylor, Francisco Nwamba, Gero Lilleike, Hannes Oosthuizen and Mike Fourie) researched, analysed and debated each of the cars on sale in South Africa. Contenders were measured against predetermined “pillars of success” to determine if they were eligible for an award in their categories. Five finalists were selected in each of 13 categories. For the second phase, the Cars.co.za editors completed comprehensive scoring sheets to assess the semi-finalists in terms specific criteria, such as interior comfort, performance, efficiency, packaging etc. The weightings of the criteria were adjusted to reflect the requirements of the target markets of each category. Once the scores were tallied, the finalists were trimmed to three in each category. For the ultimate phase of the judging process, the Cars.co.za editorial team was complemented by six guest judges: Eddie Kalili (Group Digital Editor – Destiny, Destiny Man and Sawubona), Juliet McGuire (Editor – Women on Wheels), Khutso Theledi (YFM presenter/DJ/car spinner), Kojo Baffoe (journalist/writer/media strategist), Nafisa Akabor (tech journalist) and Wendy Knowler (consumer journalist – The Times). Branko Brkic (Editor – The Daily Maverick) was absent due to illness. 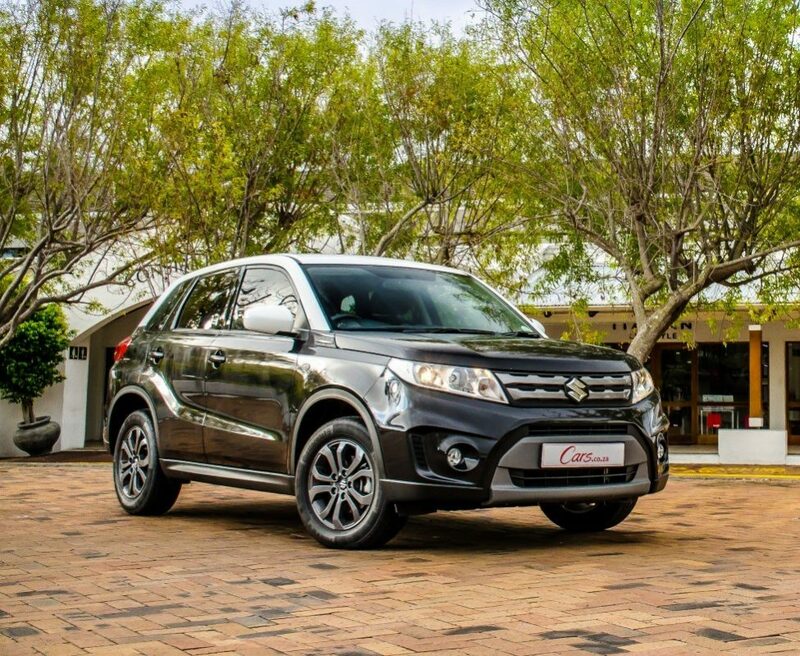 The combined jury was presented an opportunity to re-evaluate vehicles that were chosen as finalists for the Cars.co.za Consumer Awards at a two-day event at the Gerotek vehicle testing facility, north of Johannesburg. Each of the 13 judges was required to test the finalists (except for those that were unavailable) on the predetermined course before completing their respective scoring books (replete with the weighted criteria points system). In between their driving stints, the judges did exhaustive static evaluations of the cars’ packaging, build quality and interior features. The test route comprised: a skidpan/gymkhana, 400 metre straight with emergency stop braking zone, a slalom course, emergency lane change test, a dynamic handling track and a variety of road surfaces to drive on, such as “Belgian” cobblestones, a ride and handling track up a mountain (for the road-biased vehicles) and a 4×4 course and sand pit (for appropriate 4×4 vehicles). The results of the Cars.co.za Consumer Awards – powered by Wesbank, were verified by respected auditing firm KPMG. The fact that three models defended their Cars.co.za Consumer Awards titles that they won in the inaugural (2015/16) programme (two of them with different derivatives) underlines the quality of winning products and the sterling reputation of their manufacturers. It must be noted, however, that the final results of three of the categories in the 2016/17 programme were determined by the findings of the Cars.co.za Owner Satisfaction Survey (as opposed to the cars that were favoured by the 13 judges). The winners of the Cars.co.za Consumer Awards were announced at the Vodadome in Midrand on January 19 2017. The event was attended by approximately 300 guests including prominent South African motor industry executives, including representatives from vehicle manufacturers and importers, dealer groups, the finance sector, media agencies, social influencers and celebrities. Comedian John Vlismas was the master of ceremonies and the awards (handcrafted car-key shaped trophies made from stainless steel, titanium, aluminium and acrylic) were handed over by the 13 judges as well as Cars.co.za CEO Ross McIlroy and WesBank CEO Chris de Kock. Marketing guru Khaya Dlanga and Inês Jesus from Google Africa were guest speakers and entertainment was provided by Flash Republic. The event was digitally broadcast on Twitter, Instagram, Facebook and, significantly, streamed live on Cars.co.za Youtube channel. The multi-platform broadcast allowed consumers, who are at the core of Cars.co.za’s awards programme, to actively participate in the event. Furthermore, the #CarsAwards hashtag was the top trending topics in South Africa on Twitter during — and immediately after — the event. Visit http://www.carsawards.co.za for more information about the Consumer Awards, including the winners and finalists, and view images of the award recipients that were taken at the event. Leading online automotive retail portal Cars.co.za, which lists tens of thousands of new vehicles stocked by more than 1 000 vehicle dealers countrywide, delivers in excess of 30 million page views per month to more than a million unique users. Cars.co.za has a presence on multiple digital platforms and it’s ranked in the top 10 branded South African YouTube channels with 20 million views to date. In 2015, Cars.co.za repositioned itself as a consumer champion by optimising its editorial content for the purposes of engaging and empowering its users. 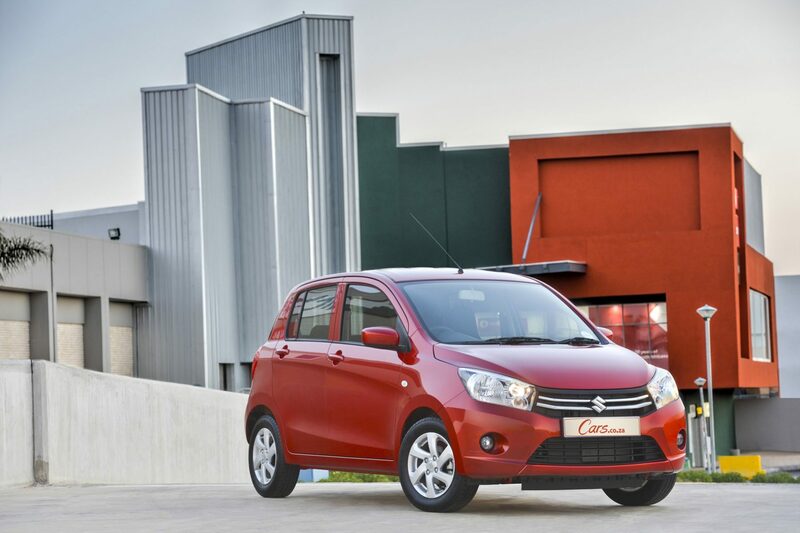 The recent Cars.co.za Consumer Satisfaction Survey, in association with Lightstone Consumer, and now the inaugural Cars.co.za Consumer Awards, underlines the company’s objective to become the most comprehensive resource available to South African vehicle buyers, so that they can make the most-informed buying decisions.